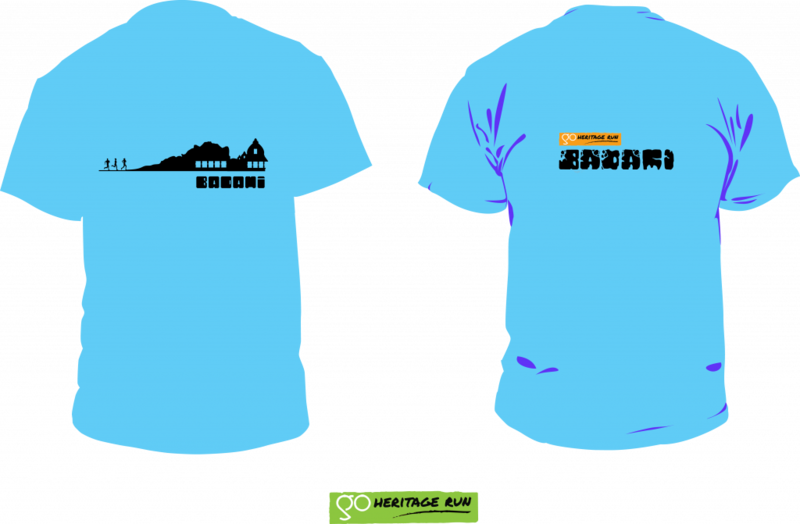 The Go Heritage Run store brings you a select range of heritage themed t-shirts and souvenirs inspired by traditional arts and crafts. 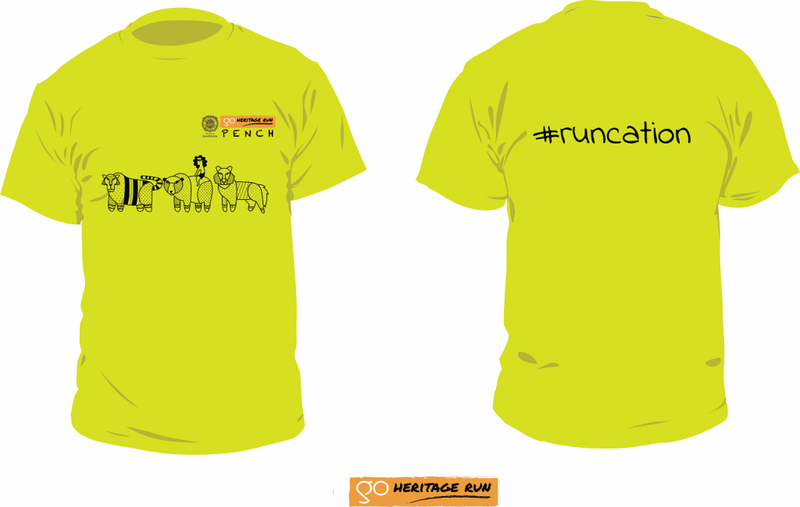 All our run t-shirts are quick-dry honeycomb weave technical materials – the same fabric we use at all Go Heritage run events. Badami has temples and rocks, and temples cut into rock – and the Badami 2016 run T-shirt is inspired by all of the above. 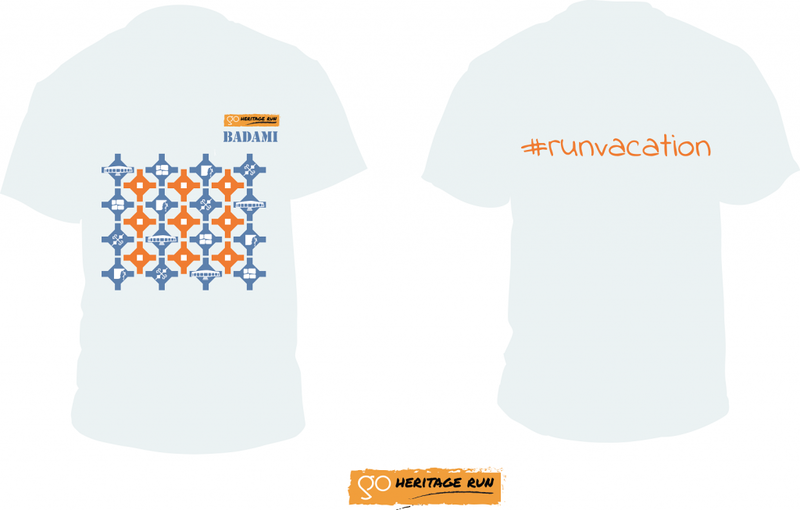 The Badami 2017 run T-Shirt was inspired by its 6th century cave temples, sandstone cliffs, and the famous Kasuti embroidery of the region. 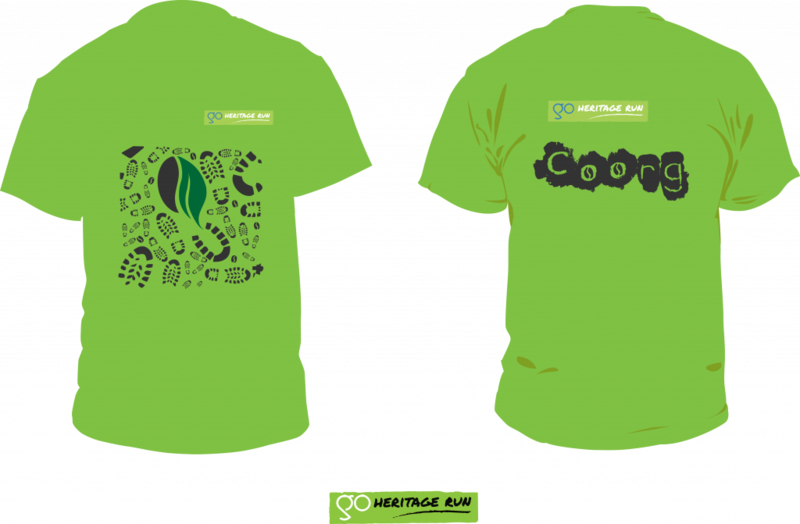 The Coorg 2016 T-shirt incorporates elements of shoe prints and coffee bean against a lime green background and the vamp of the shoe. 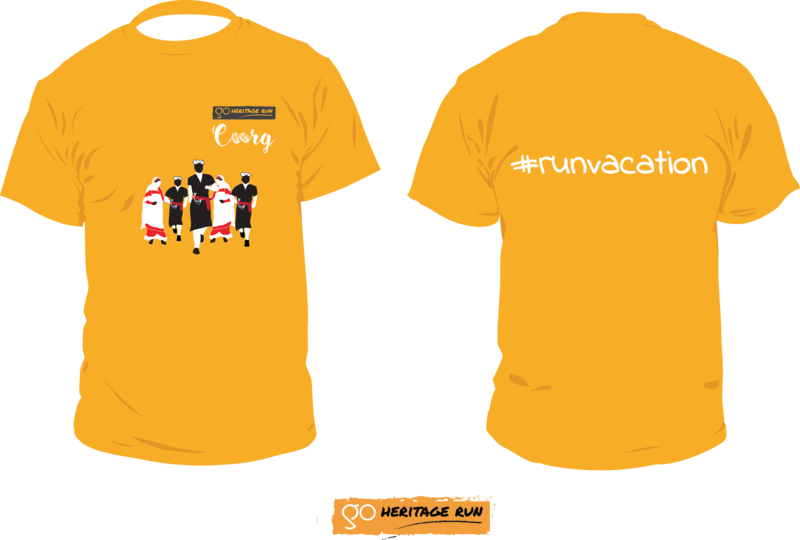 The Coorg 2017 souvenir run T-shirt is inspired by the local Kodava community – an ethnically and culturally distinct people. 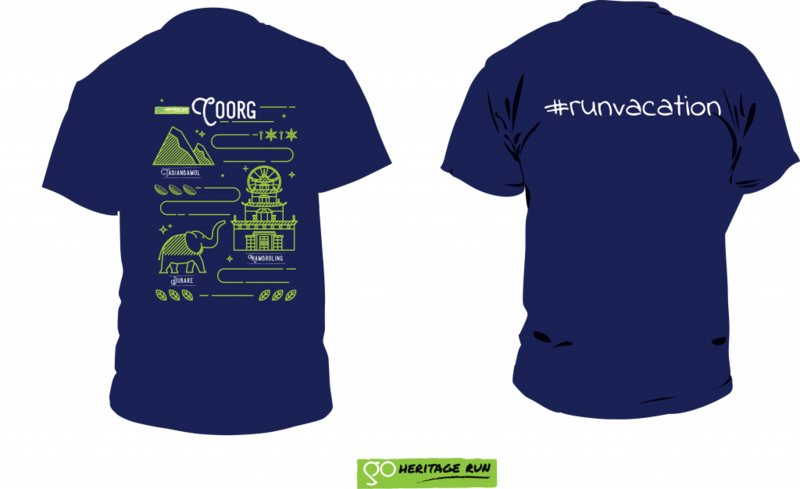 The Coorg 2018 T-Shirt celebrates some of Coorg’s iconic landmarks – The Tandiandamol Peak, Namdroling Monastery, and Dubare Elephant Camp. The lush green landscapes are the inspiration for the colour scheme. 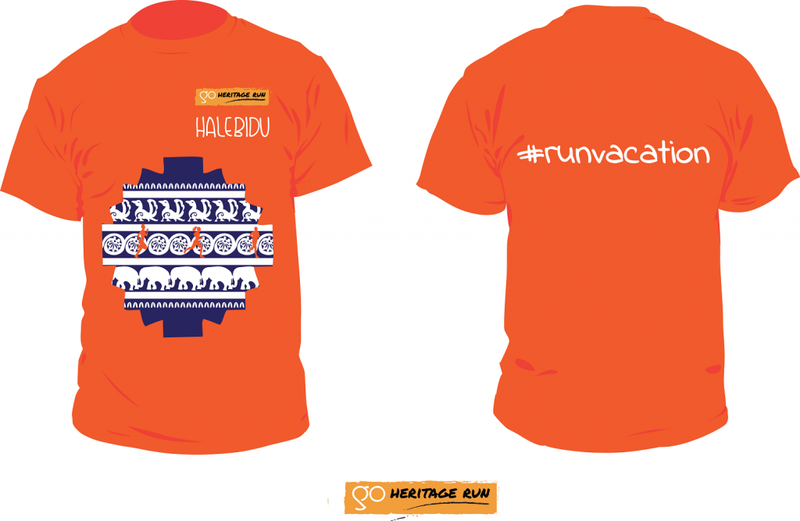 The illustrations on the orange souvenir run T-shirt are inspired by the extensive relief work on the temple walls – its decorative sculptures and friezes featuring intricately carved elephants, horses, lions, floral scrolls and depictions from Hindu epics. 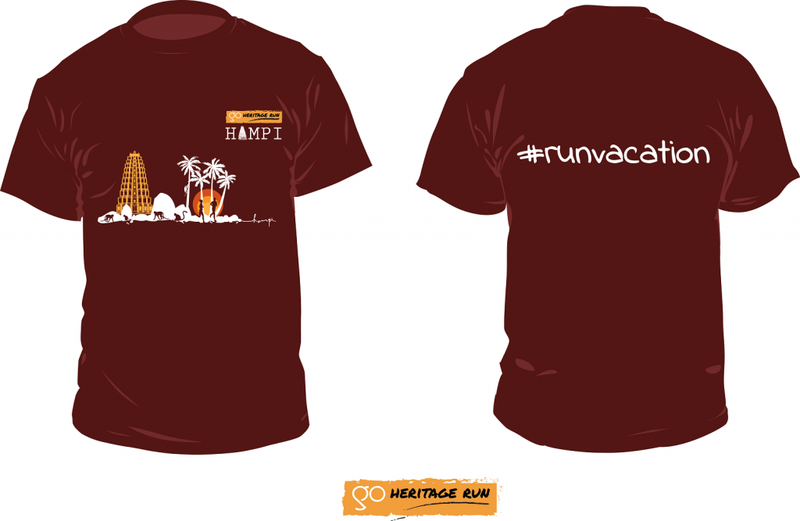 The Hampi 2018 run t-shirt is inspired by the rocky landscapes, wandering monkeys, scenic sunsets and of course, the temples and ruins of the Hampi region. The design for the GHR Hyderabad 2017 run T shirt is simply inspired by the city’s modern cosmopolitan vibe with that of its rich cultural past. This is portrayed by a minimalistic arch design of the famous Qutb Shahi Tombs. What do a 400 year old historic landmark, the world’s tallest monolith of Budadha, a spicy mixed rice dish famous across the country, a sweet, salty snack named after Hyderabad’s last ruler have in common? They’re all featured on the GHR Hyderabad 2018 T-shirt. The Ooty souvenir T-shirt incorporates eucalyptus trees, the rolling blue hills (they’re called Nilgiris for a reason! ), and of course the 100-year old UNESCO-designated Nilgiri Mountain Railway. Located on the banks of the river Betwa, the cenotaphs or Chattris served as inspiration for the 2017 Orchha Run T-shirt. 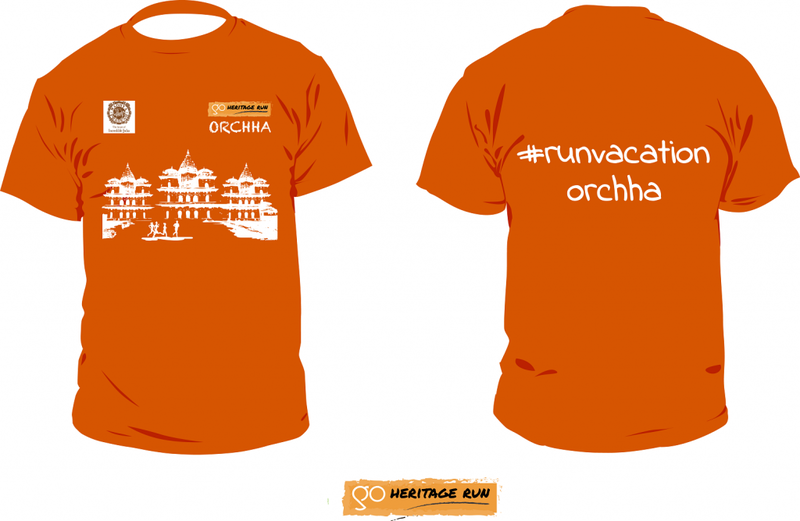 The Orchha 2018 run t-shirt is inspired by Sunrise at Orchha. 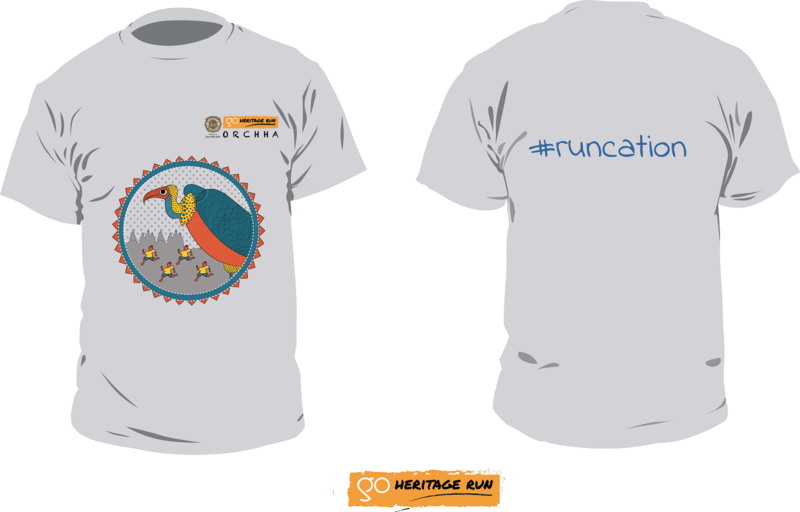 The gigantic cenotaphs, the omnipresent vultures and runners taking it all in – are all represented on the t-shirt. 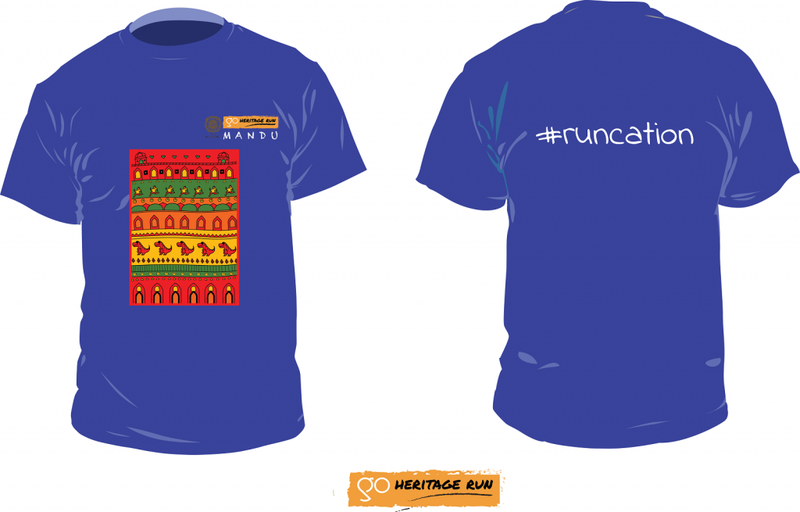 Illustrated on the Pachmarhi run t-shirt is a stylised Gond-themed sunset looking over the Satpuras many residents – the Nilgai, Chinkara, Wild Boar and bison. 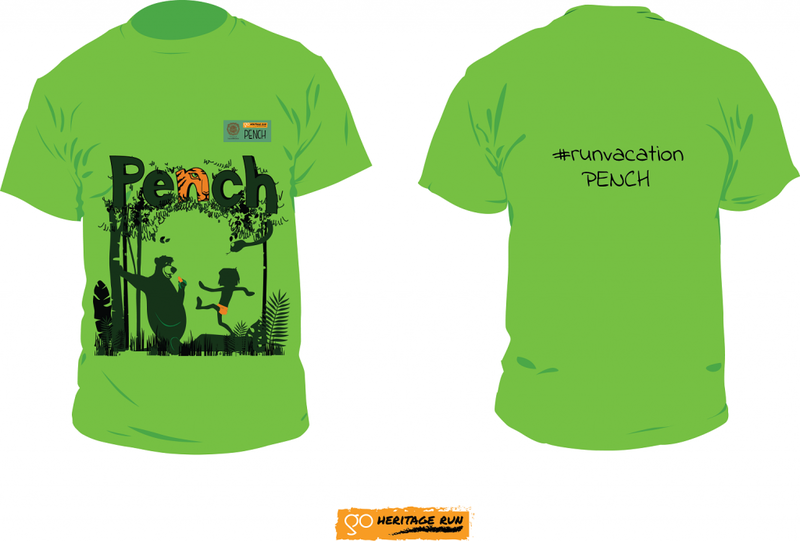 The Pench 2018 Run T-shirt was inspired by The Jungle Book characters. Baloo the bear and Mowgli are front and center in a thicket, Look even closer and you will spot the famous tiger Shere Khan too! 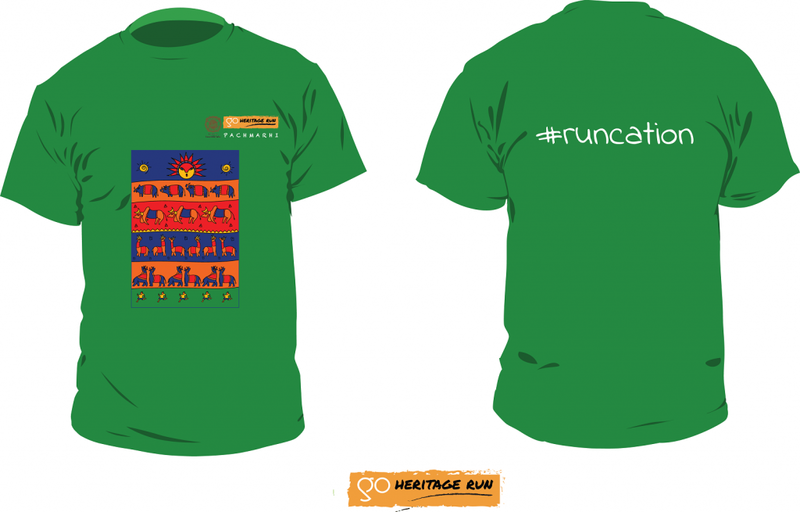 This Pench 2019 run t-shirt was inspired by The Jungle Book’s characters which have been illustrated in the Gond style – a form of tribal and folk art practised by the Gond people. 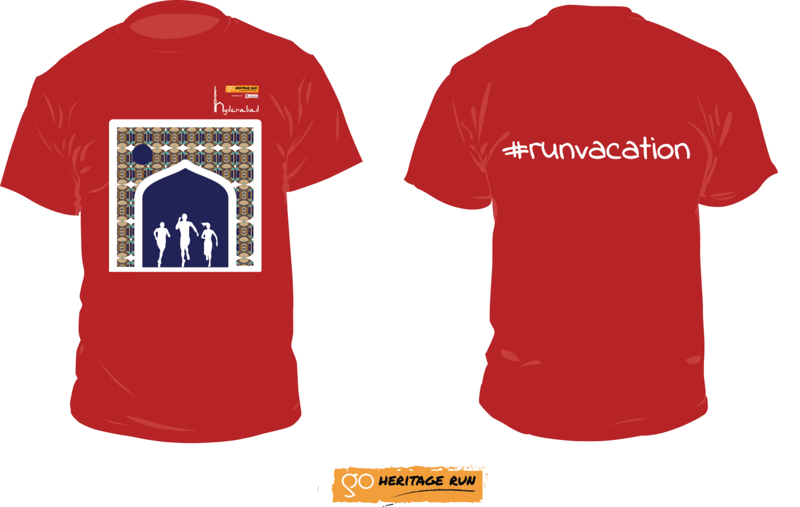 The Go Heritage Run Mandu 2019 run t-shirt is more than just a technical tee – it’s a heavily illustrated work of art you can wear! 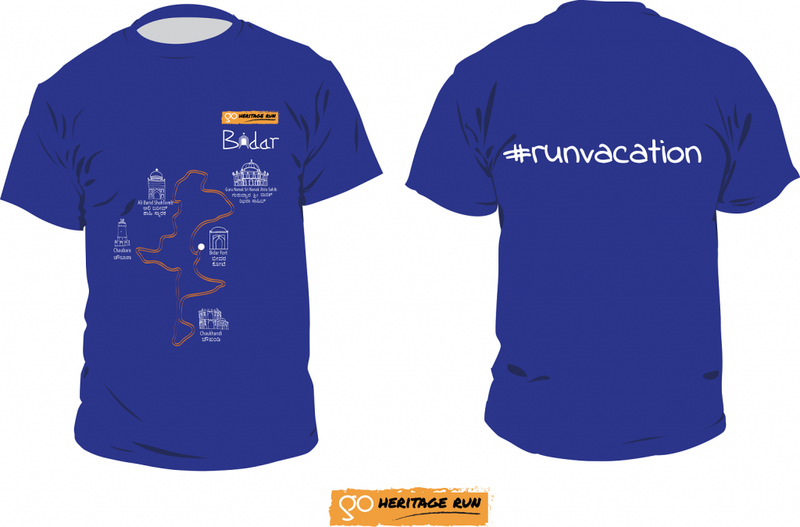 The Bidar 2017 run T-shirt is illustrated with many of this town’s heritage sites – the Bidar Fort, the Chaubara clocktower, the Ali Barid Tombs, Chaukhandi and Gurudwara Nanak Jhira. 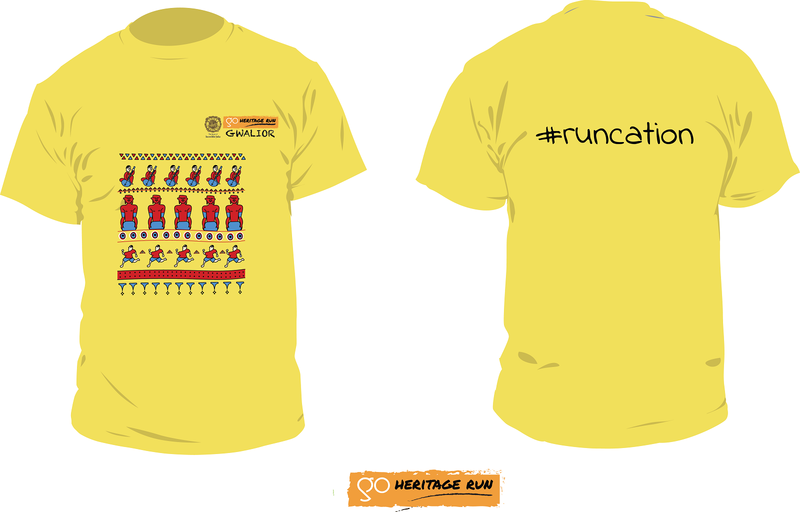 The Gwalior 2019 run t-shirt illustrations are influenced by Tansen, the Jain tirthankara rock-cut statues, the zero symbol and its sandstone monuments. The Khajuraho 2019 souvenir t-shirt is more than just a technical tee – it’s a heavily illustrated work of art you can wear!